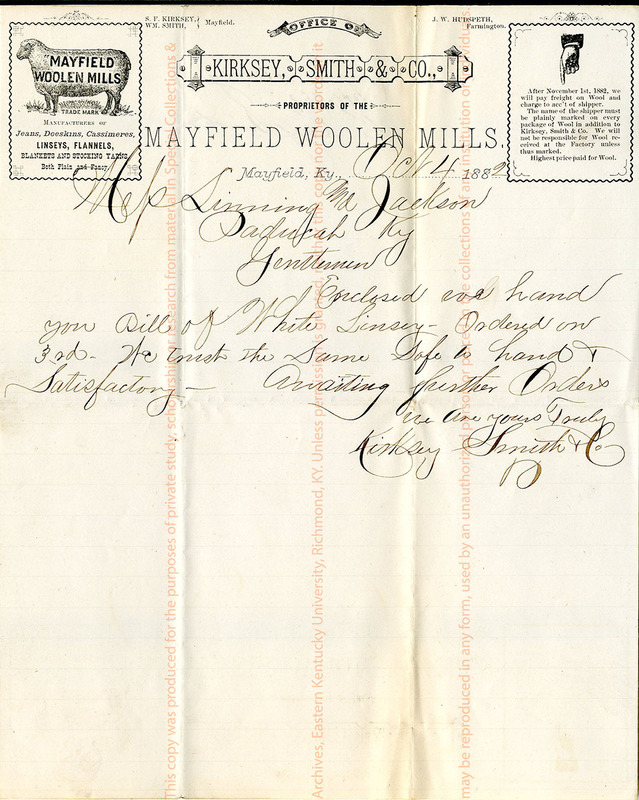 Note that came with a bill for an order for White Linsey from the Mayfield Woolen Mills. “Mr. 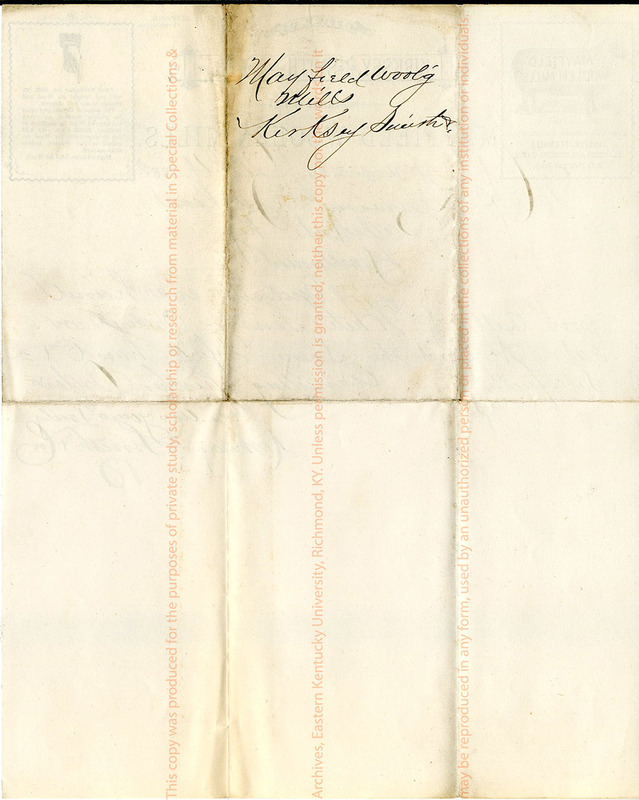 Lenning & Jackson from Kirksey Smith & Co.,” Digital Collections, accessed April 18, 2019, https://digitalcollections.eku.edu/items/show/27451.